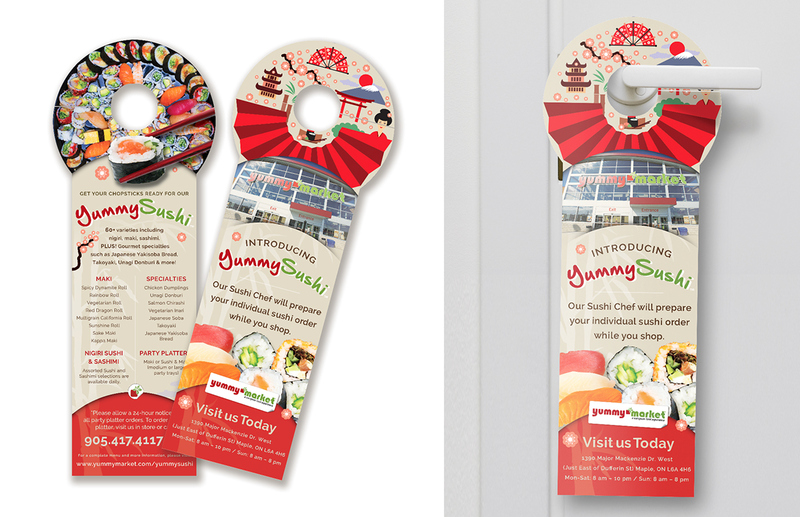 The primary objective for this project was to help Yummy Market with their introduction of sushi to their store. 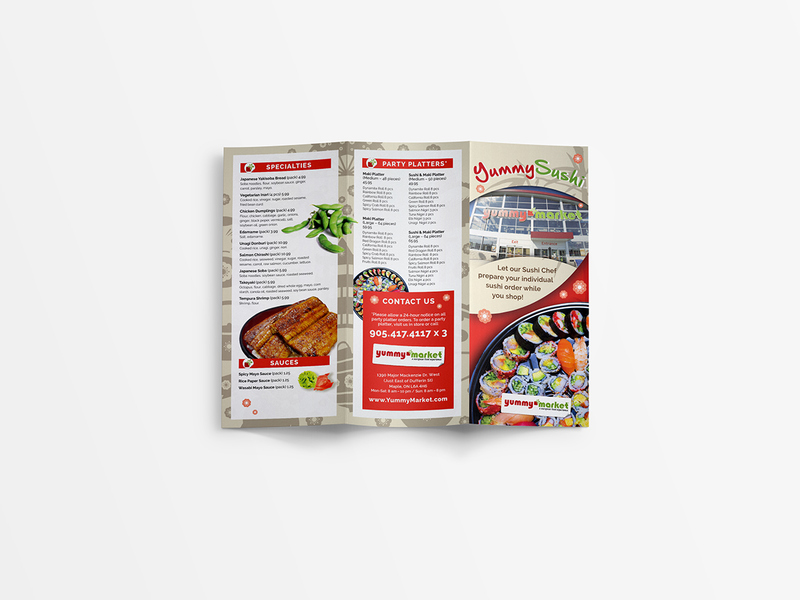 I was to provide print collateral in a timely fashion and ensure consistency through the three pieces along with the logo, which mirrored the original Yummy Market logo. When I was first approached on this I felt it was necessary to have great sushi imagery to embrace the fresh essence of what Yummy Market is offering. They have hired on a chef that prepares the sushi on-site daily, ensuring the freshness of each piece. 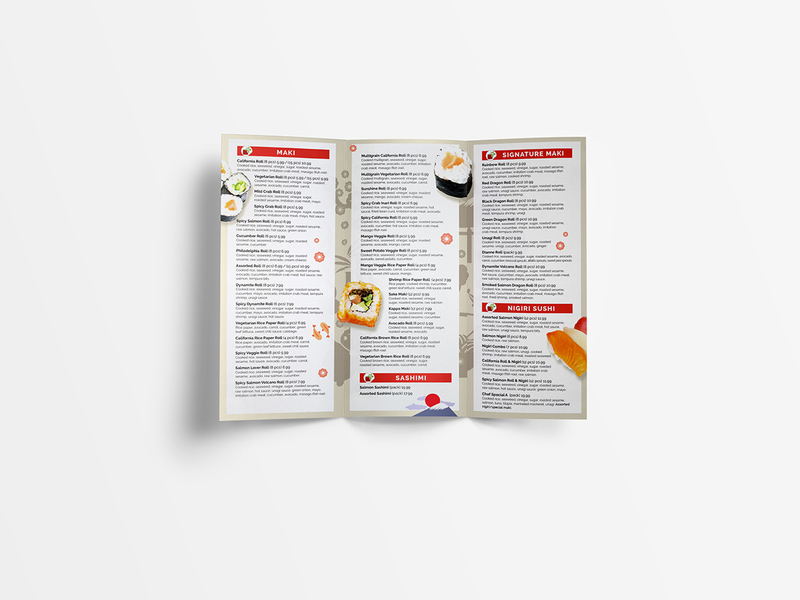 They also have an extensive menu with a variety of nigiri sushi, sashimi and specialty items. 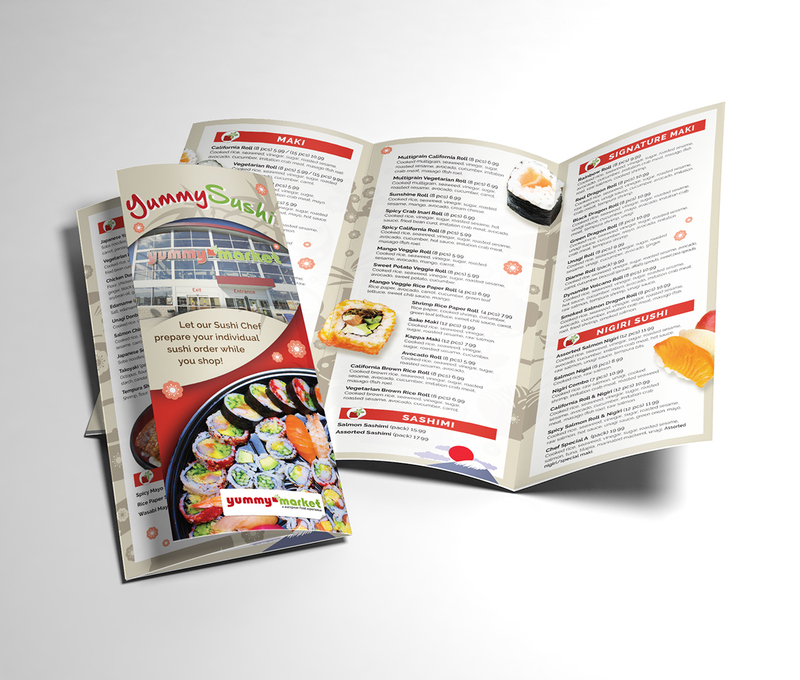 It was important to have this variety communicated in the material as well show they offer party trays; giving customers the ability to make a sushi order and pick it up at their convenience. Overall the concept was to align with the Yummy Market brand while embracing a new area of specialty. I was originally approached to create a door hanger which is distributed to local neighbourhoods and create awareness of the new offer. They also brought in a menu and poster design additionally to the project. While working on the material the objective was to ensure they were all uniform not only with each other but with the Yummy Market brand. The deliverables were given on time and provided in a consistent manner. The project was a lot of fun to develop and overall very happy with the results. Producing the new product encourages the customer to engage with what is being produced and lets them know that Yummy Market will bring them great new products. That said, along with Sushi being a widely loved food in Canada, the high energy and colourfulness of the Yummy Sushi brand can expect great results. 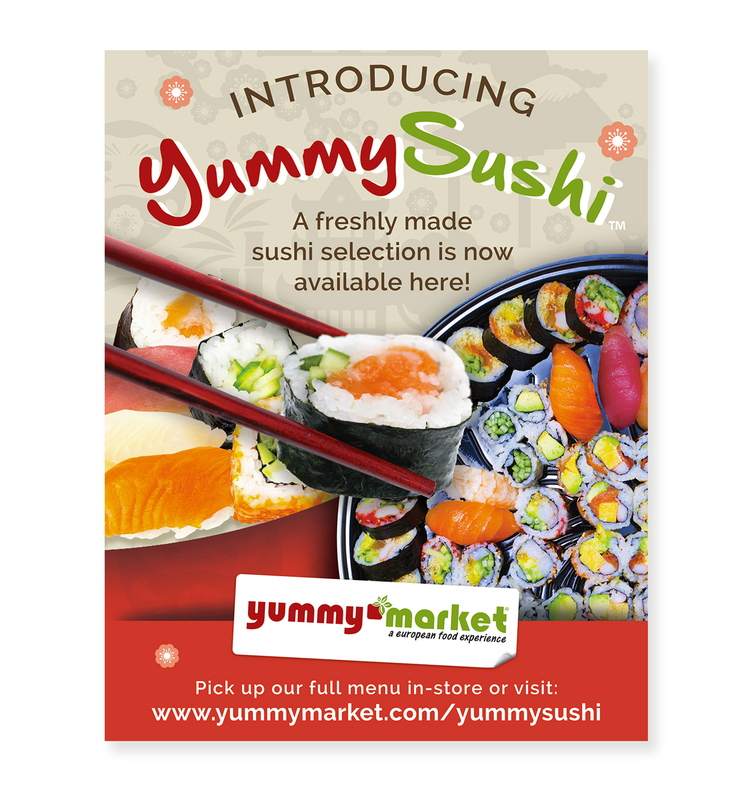 Visit yummymarket.com/yummysushi for more information.